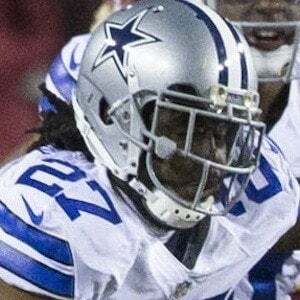 NFL safety who was an occasional starter for the Dallas Cowboys during his rookie season. He was selected with the 80th pick of the 2013 draft. He earned all-region honors with 400 receiving yard and 77 tackles playing both wide receiver and safety at Cairo High School. He was the second leading tackler for Georgia Southern University during his First-team All-Southern 2012 season. He was named after his father James Sr. He split time with Jeff Heath at safety for the Dallas Cowboys during the 2013 season.